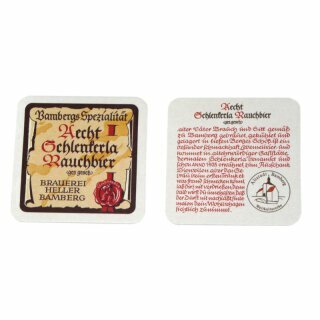 Schlenkerla beer coaster for bottles and glasses. 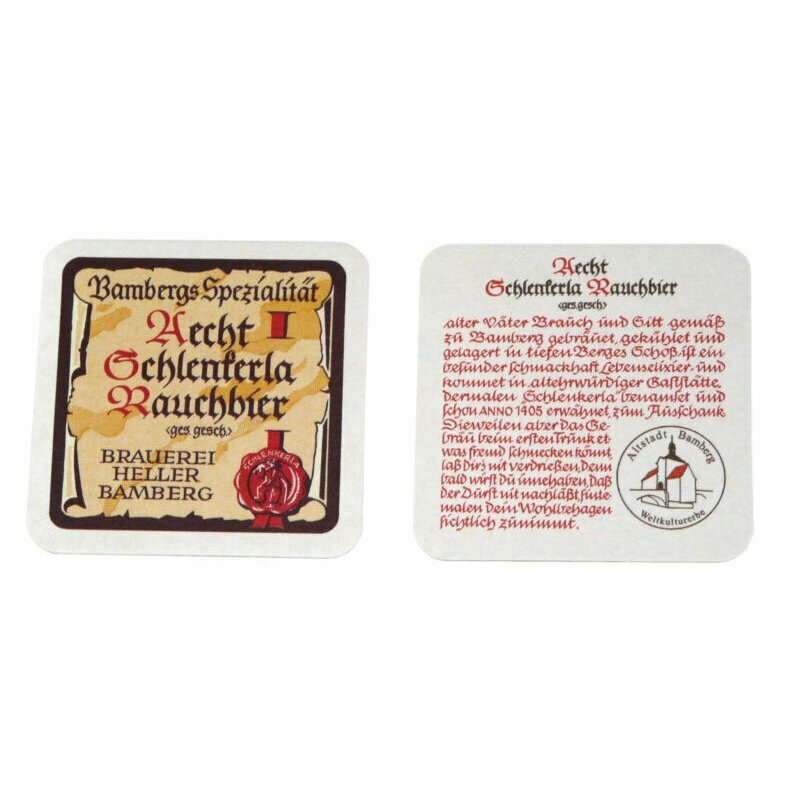 Schlenkerla beer coaster for bottles and glasses. The product images shows front and back of the coaster.